The iPhone 5 features aluminum surfaces on the sides and along most of the back. Aluminum is silver in color. The white iPhone 5 has been anodized silver. Anodization is a chemical and electrical process that protects aluminum from changing color over time. On the white iPhone, the anodized finish is silver, but the resulting color is a slightly different shade of silver from before this process is applied. A number of iPhone 5 owners have noticed cosmetic defects on their devices when brand new. The phones may have small chips, scratches, or scuffs along the edges. This occurs when the anodized finish misses part of the surface or is scraped off. 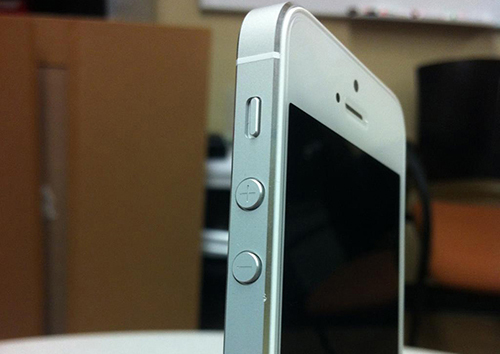 On the white iPhone 5, these defects are less noticeable than on the black iPhone 5. This is due to the similarity of the anodized surface and the exposed aluminum beneath. Some iPhone 5 owners have chosen to exchange phones if their finish is less than perfect when purchased new. Others have not found this defect on their brand new phones. However, ifixit reported during their “teardown” and inspection of the iPhone 5 that this could be an issue in the future. During normal use, the edges of the aluminum surface could be scuffed. We recommend inspecting your new phone immediately after unboxing it. Check each edge of the phone for shiny silver specks of missing finish. If surface defects cause you to be unsatisfied with the phone’s condition, consider exchanging it at the place of purchase. Go to the retail store you purchased from; if you ordered online from Apple, Verizon, AT&T, Sprint, go to one of their retail locations. If your new phone is in acceptable condition, we highly recommend you purchase a protective case or adhesive full-body protector and use it right away. Doing this will ensure your phone is protected from scrapes and bumps which could cause the black finish on your phone to wear off.